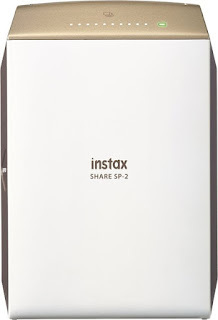 Today only, while supplies last, get this Fujifilm - instax SHARE SP-2 wireless printer for ONLY $69.99 (Retail $179.99)! Print photos instantly from your smartphone with this Fujifilm instax Share portable printer. This wireless printer works with iOS and Android phones, and apps for both platforms provide fun options for editing and printing. This Fujifilm instax Share portable printer uses a convenient 10-print cartridge of instant film, so purchasing new ink cartridges is a thing of the past.